When The Brit and I first moved to the Bay Area, we were fairly intimidated by venturing into “The City”. We really didn’t know where to go or where to eat; other than the tourist places Neither one of us were from here, and I think it was all a bit overwhelming. Thankfully, friends took pity on us and showed us the ropes. 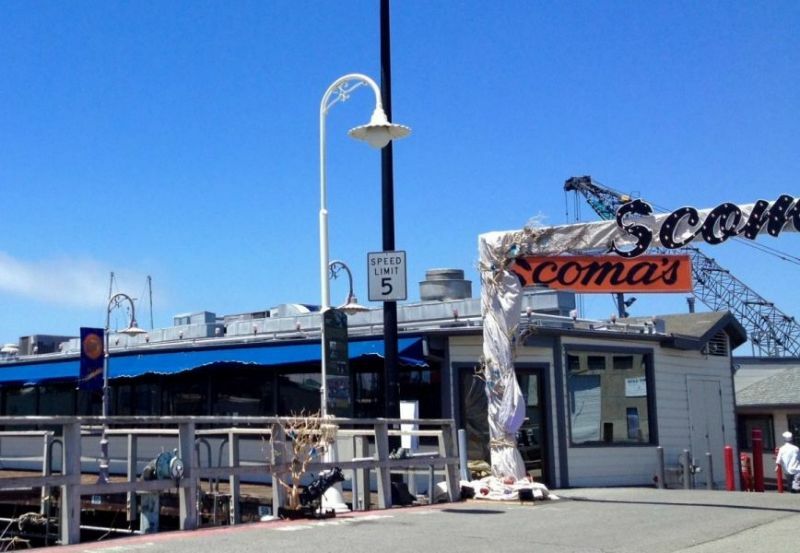 One friend took us to Scoma’s as the place where locals go to eat seafood. It has been a favorite ever since. They say that you could eat at a different restaurant in San Francisco every meal for the rest of your life and never visit all of them. With so much choice its hard to go back to places. This is one of those few places we have visited on multiple occasions because it is always fantastic. The restaurant doesn’t look much from the outside. 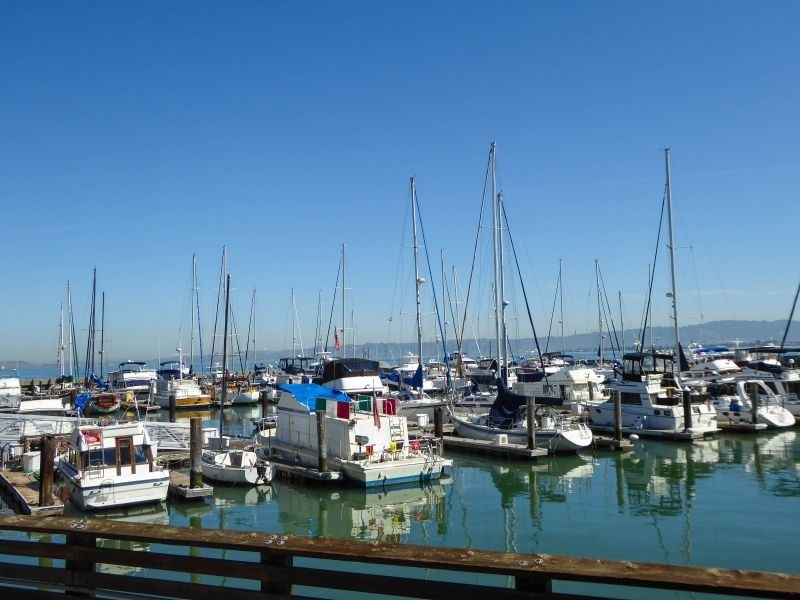 It is located on Pier 47, behind the tourist trap of Fisherman’s Wharf. You wouldn’t really know it was there if you weren’t in the know. 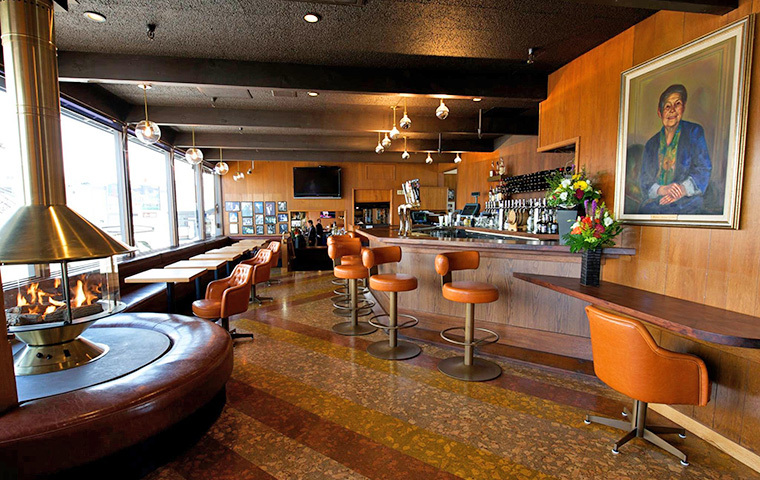 Founded in 1965 by the Scoma brothers, the place still has the same sixties charm and interior. I think it has many of the original staff. I have been visiting there for the past 10 years and every visit my wait staff are the same guys. 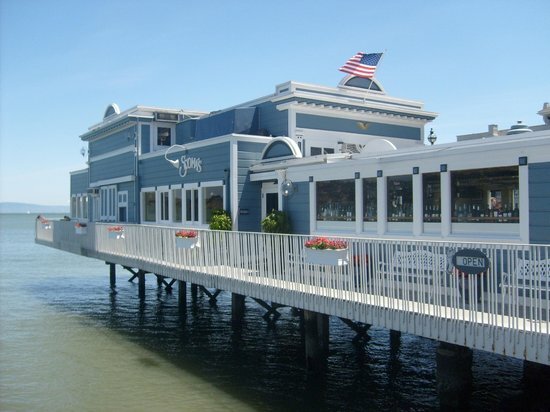 They call the restaurant Pier to Plate – which is hilarious in today’s foodie language. Still, one cannot argue with how delicious and fresh the fish is! It comes right off the boats that are moored outside the windows of the restaurant. I don’t think you can get fresher than that. I visited, on this occasion, with a friend who is visiting from the U.K. She was in the mood for seafood, and I knew right where to go. It was one of the hottest days of the year in San Francisco; we needed to relax and eat something light and cool with lots of flavors to boost our ability to get back out there and see the city. To some, the interior of the restaurant may seem dated, but in all honesty, the decor adds to its charm. 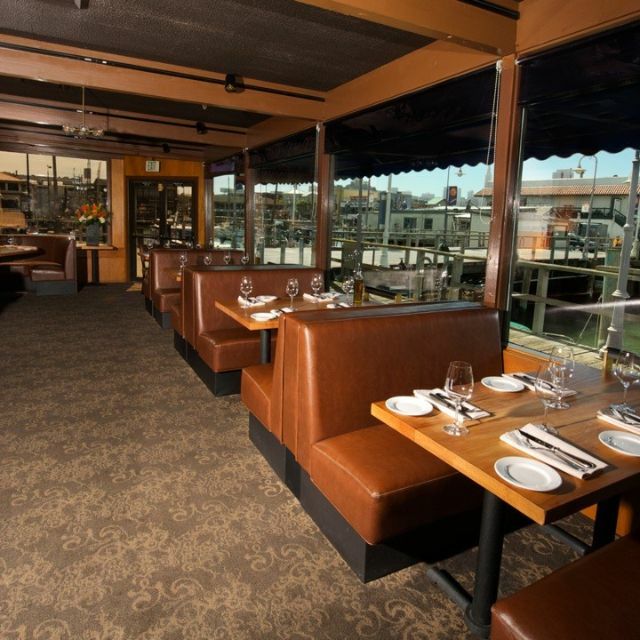 Their warm welcome and the huge picture windows that overlook the boats really sets the mood. 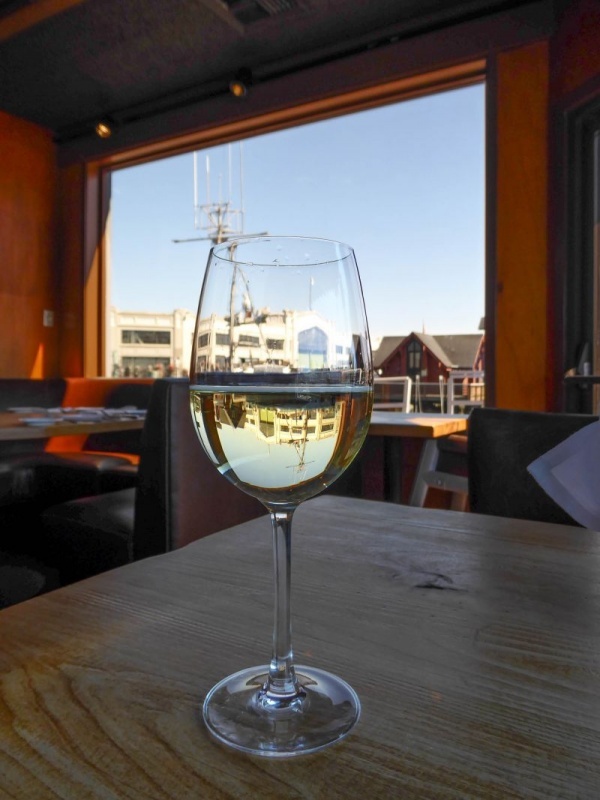 It’s a welcome respite to the hustle and bustle of the city and refreshing that they focus on the food rather than keeping up with the Joneses. We decided to share our plates and ordered the lunch portion Petite Combination Louis Salad and the Hot Sampler Trio for Two. Our waiter asked us in which order we’d like our food; we decided salad followed by sampler. I was hot and thirsty so I ordered myself an iced tea to drink with my lunch. For my friend, I ordered a glass of the 2015 Hanna Sauvignon Blanc from Russian River Valley. It was a perfect pairing with the seafood. The crisp, light, fruity flavor really brought out all of the notes in the food. When our salad arrived we both dug in. 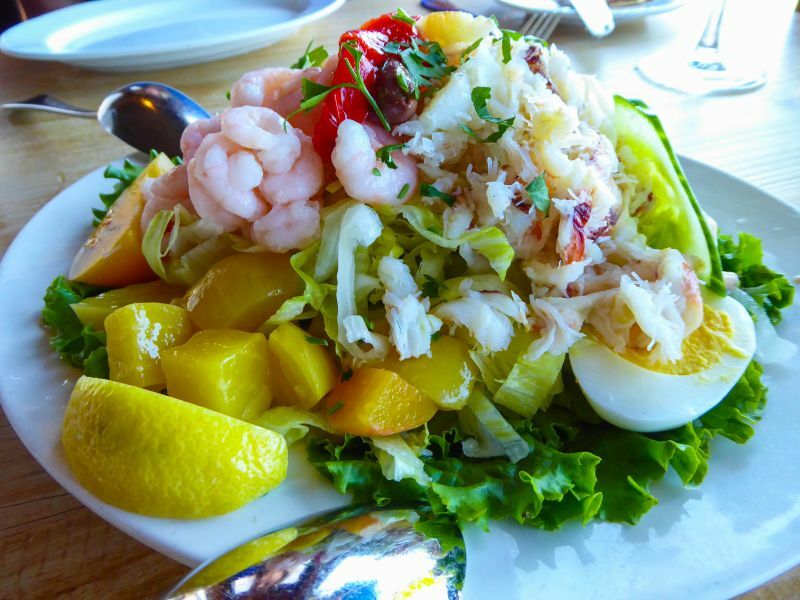 The shrimp, the crab, the lettuce, and all of the ingredients were so fresh looking; an absolute perfect combination on a hot day. I don’t even care for iceberg lettuce and usually opt for it to be exchanged but as it was, it was PERFECT. How many times on this blog have you heard me say that about food? Um, pretty much next to never. I loved the little touches on the salad that packed a lot of flavor, like the roasted red peppers that garnished the top. The dressing was just right. There were also golden beets that gave just a hint of sweetness. 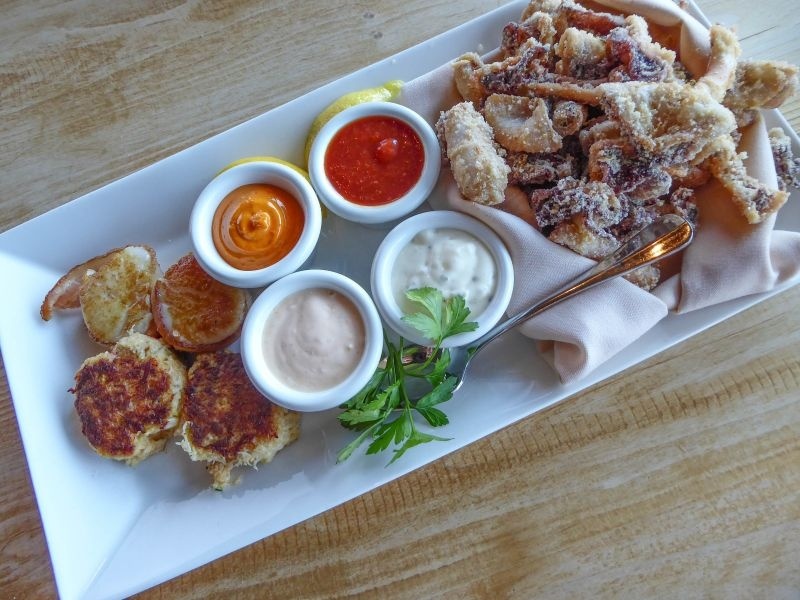 Our second plate was a trio: crab cakes, bacon wrapped scallops, and fried calamari. The friend who was dining with me that day is a fantastic cook and we both were so impressed. We both thought that the crab cakes were hands down the best we had ever tasted! The scallops had a perfect sear and cook and the fried calamari was melt in the mouth yummy. The batter was so light it was hardly there. We couldn’t stop raving. Neither one of us raves about the food we eat. We usually discuss how we could add something to the dish, or how it just didn’t hit the mark in some way. But this entire plate was AH-Mazing! Even the provided condiments were out of this world delicious! By this time we were stuffed to the gills so there was no room for dessert. Happily sated, we ventured back out to tackle the city and to explore all of the cool things there are to see. 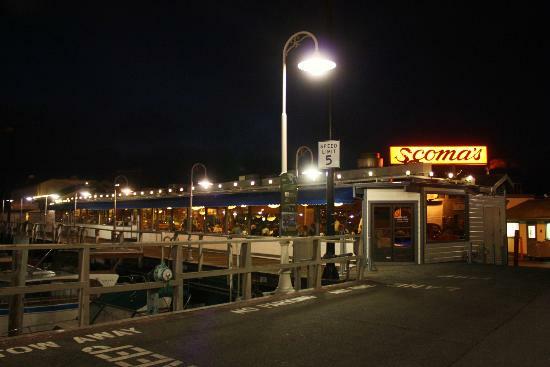 It was a wonderful meal and I highly recommend you eat at Scoma’s the next time you are in town.